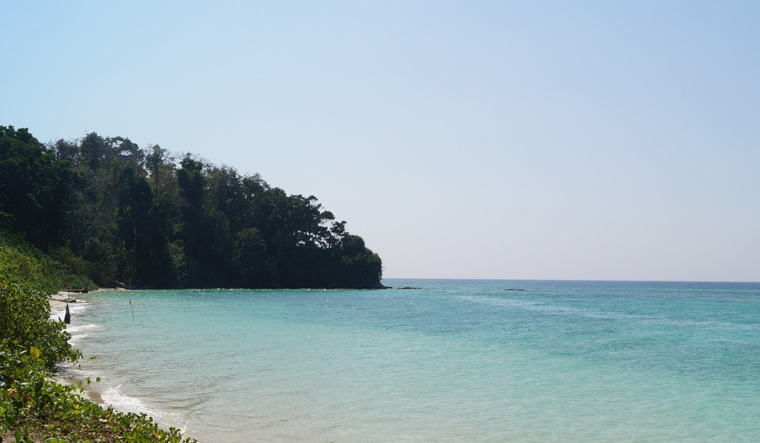 In a major step to increase footfalls and promote tourism in the remote Andaman and Nicobar islands, the government has excluded 29 inhabited islands in the Union Territory from the Restricted Area Permit (RAP) regime till December 31, 2022. These include Havelock, Long Island, Curfew Island, North Andaman, Smith Island, Neil Island, Flat Bay and Strait Island among others. The lifting of RAP means that foreigners will now be allowed to visit these islands without prior permission from the government. However, New Delhi remains wary of opening its doors to neighbouring countries like Pakistan and China, which have long been eyeing an opportunity to get a foothold in the strategically located islands. The Modi government will not be extending this concession to citizens of Afghanistan, China and Pakistan and foreign nationals having their origin in these countries. “They would continue to require the Restricted Area Permit to visit Andaman and Nicobar Islands. In such cases, the Restricted Area Permit may be granted only after obtaining prior approval of the ministry of home affairs,” said a senior MHA official. Further for visiting Mayabunder and Diglipur, citizens of Myanmar will continue to require RAP which shall be issued only with the prior approval of the MHA. The RAP is notified under the Foreigners (Restricted Areas) Order, 1963. The home ministry's decision to lift the RAP from these 29 islands with certain restrictions has been conveyed to the chief secretary of the Andaman and Nicobar administration. Home Ministry officials said the decision has been taken in the interest of promoting tourism and overall development of the Andaman and Nicobar Islands. Besides the 29 islands, where the RAP has been lifted, foreigners have also been allowed to visit 11 other uninhibited islands notified by the UT administration only for “day visits”. The government’s decision to focus on developing infrastructure in this Union Territory to make it an international tourist destination is expected to bring more dividends. Once seen as a military post, these distant islands will help act as a key strategic asset for India which is rolling out its Look East policy. It will increase India’s engagement with southeast Asia and Indo-Pacific. The islands, located in the Bay of Bengal, also oversee major international sea routes. Further, the government is taking steps to ensure preservation of natural and marine resources (including marine parks and environment) of the islands without affecting tourism and business. The administration and the ministry of environment and forests will be working hand in hand to ensure this. Separate approvals of the competent authority would continue to be required for visiting reserved forests, wildlife sanctuaries and tribal reserves as is the case at present.